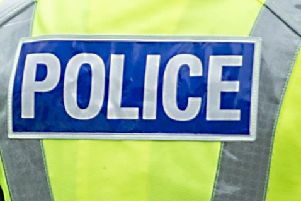 A brazen thief broke into a Larbert clothes store before stealing a number of charity tins and a cash box. Staff at Libby’s were left dejected when they turned up at work to find the shop’s doors had been forced in and donation boxes for organisations including Denny-based palliative care service Strathcarron Hospice were missing. To make matters worse, Libby’s has not long re-opened following a 17-week closure caused by flooding. Police are now investigating the theft from the Main Street store, which took place some time between 4pm on Saturday, July 7 and 10am on Sunday, July 8. Having run the store since 1984, members of the family who own the business say they are shocked anyone could do such a thing. Shop worker Elizabeth Anne Wright (55), daughter of owner Libby Wright (77), said: “It’s the fact that they have taken all of the charity boxes and stolen from charity. “There was obviously our float money but we’re not worried about that. The Wrights, of Camelon, are hopeful the culprit will be caught soon. Elizabeth continued: “Our local Post Office has footage of the chap walking in. That lasts for 14 minutes and then he crossed the road. “We’ve only just opened back up and this has happened. Information relating to this incident can be passed on to police by calling 101 and quoting reference number PS-20180708-1848.